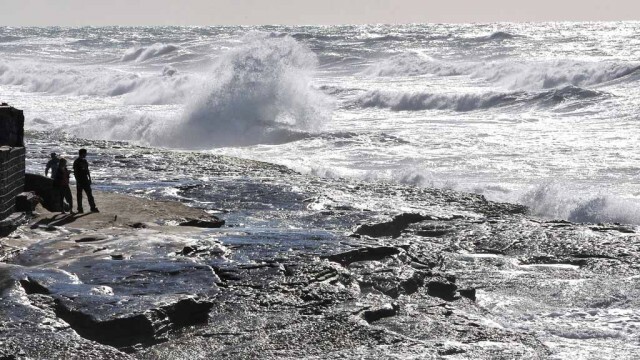 Dangerous swimming and surfing conditions were forecast for local beaches this weekend and the beginning of next week, prompting the National Weather Service to issue a Beach Hazards Statement for the entire coast of San Diego County. A long period of south swell was expected to bring elevated surf and strong rip currents beginning Sunday morning and lasting until Monday evening, according to the NWS. The astronomical high tide of 7 feet was expected to peak Sunday evening along with higher than normal surf, which could cause minor flooding in some low-lying coastal areas, the NWS said. Hazardous swimming conditions and rip currents could pull swimmers out to sea, according to the NWS, so beachgoers were warned to use caution when entering the water.